Cretaceous-age quartz monzonite - Fractures and joints within quartz monzonite host uranium mineralization at shallow depth. Uranium-bearing host rock was first discovered in this area by prospectors with Geiger counters during the mid-20th century. Several Washington occurrences have supplied the collector market with thousands of fine autunite specimens, some of which are considered to be the best ever recovered (Ream, 1991). The premier occurrence was the Daybreak mine (or Dahl lease) near Mount Spokane east of Elk, Spokane County. World-class autunite specimens were produced during active uranium mining for a short time in the mid-1950s. 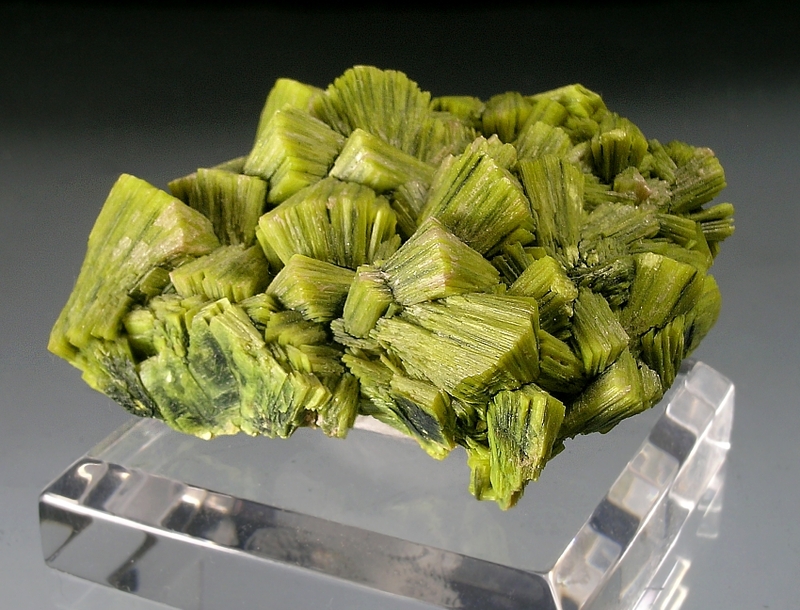 *Autunite- Ca(UO2)2(PO4)2-10H2O - Typically occurs as dark green compact groups of fan-like crystals to about 3 cm. 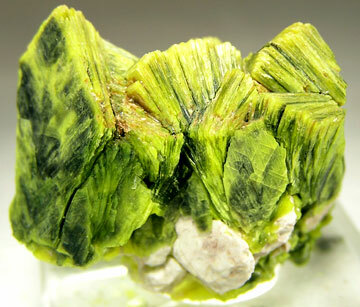 *Meta-autunite- Ca(UO2)2(PO4)2-6-8H2O - Occurs as yellow-green pseudomorphs caused by dehydration of autunite. Many existing collected autunite specimens exhibit meta-autunite rims due to partial dehydration.